Upper Elementary combines 4th, 5th and 6th grades in a dynamic multi-age classroom. Students build important social and leadership skills in a respectful environment. Our Upper Elementary curriculum aligns with state standards and frameworks—and goes above and beyond by integrating Montessori methods and experiential learning throughout. Our hands-on science program is based on a highly regarded, inquiry-based approach. Field studies keep students fully immersed in learning. 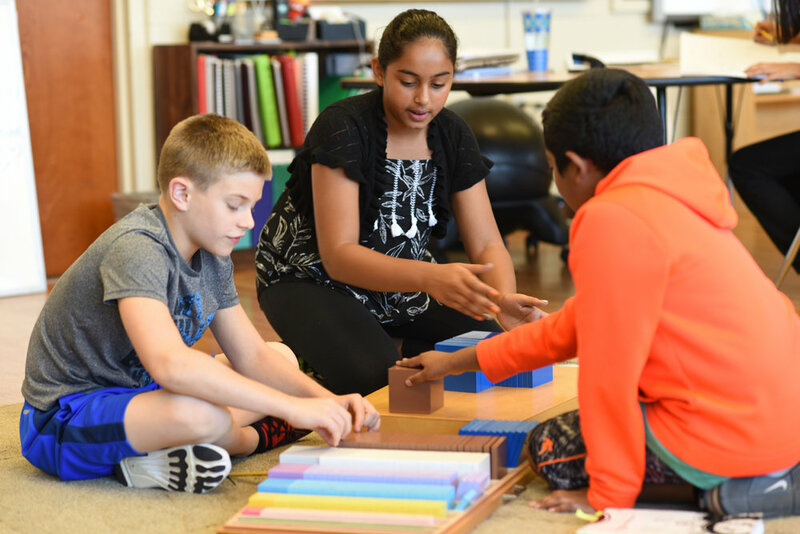 Students leave Upper Elementary prepared and eager to take on the academic rigor, increased independence, and in-depth experiential learning in MSD's Middle School.